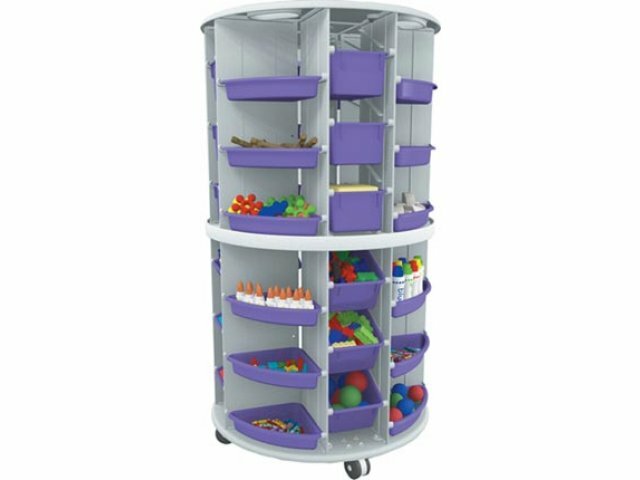 ChildBrite Does Storage with New Mobl Lite Storage Systems! 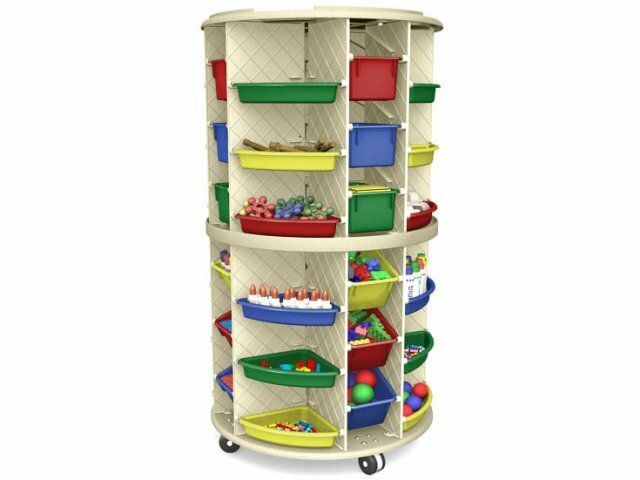 These innovative "rolling containers" are colorful, durable, and very versatile! 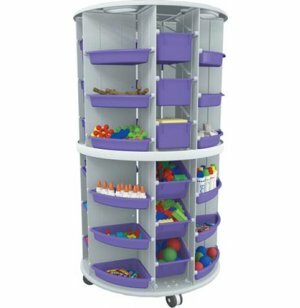 They're compact mobile storage carts with enough compartments to keep any classroom more organized! Includes 24 Super-Tuff Totes and 24 Pie Trays. Made of tough, high-impact resin. Rolls like a skateboard on 3" heavy-duty casters. Super Totes and Pie Trays slide in and out for easy access to all your supplies. Totes measure: 7 3/4"W x 11 1/4"D x 5"H.
Pie Trays measure: 40"W x 40"D. x 2 1/2"H.
Convenient 2-Way Runner System allows you to mount the totes and trays straight or on a 24 degree angle for better visibility of contents.